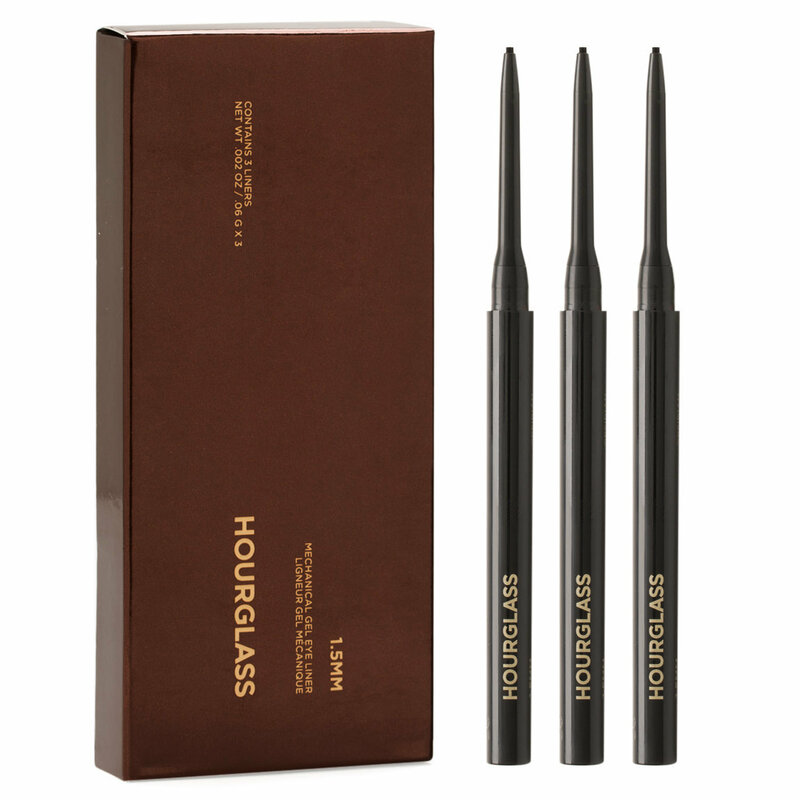 Swipe on pure, precise color with this ultra-skinny gel eyeliner pencil from Hourglass. A creamy, waterproof gel encapsulated in a super-slim, click-activated pencil, 1.5MM Mechanical Gel Liner in Obsidian offers crisp precision, opaque black color, and easy application—no pot, no brush, and no cleanup required. This set of three pencils lets you stock up so you’re never without your favorite liner. Click the pencil twice to dispense enough gel to line the eyes. Replace cap after each use to prevent drying. Remove with a waterproof makeup remover.